Odyssey FZER2 Effects Rack Flight Zone DJParts - All Variety of Parts that DJ Needs. 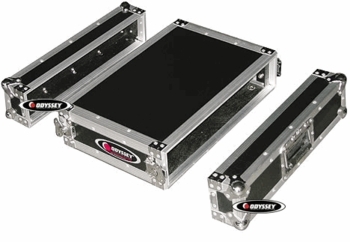 This Deluxe ATA Effects Rack protects up to 2U of your valuable rackmount gear. Features include dual rack rails (front and rear), stackable ball corners, heavy duty rubber feet, spring loaded handle, and removable front and rear covers. Built to last!